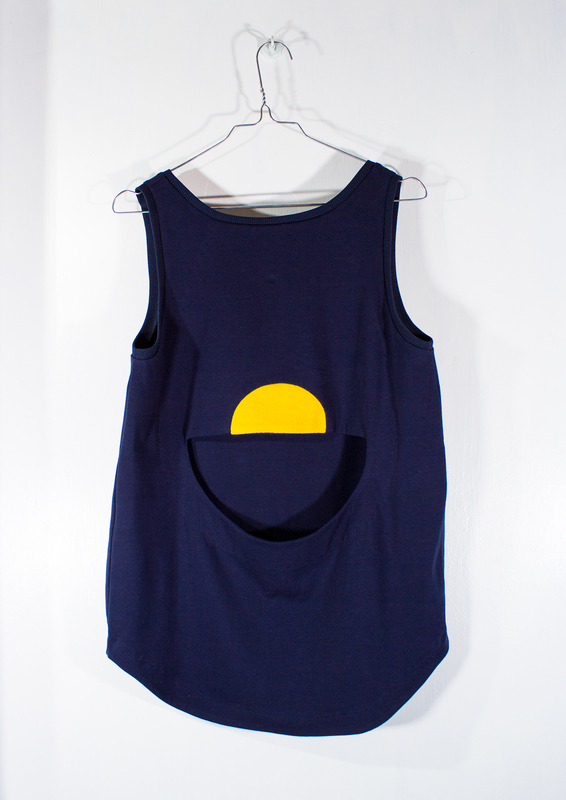 Loose-fitting dark blue singlet with cut out and "half of a yellow sun" in the back. 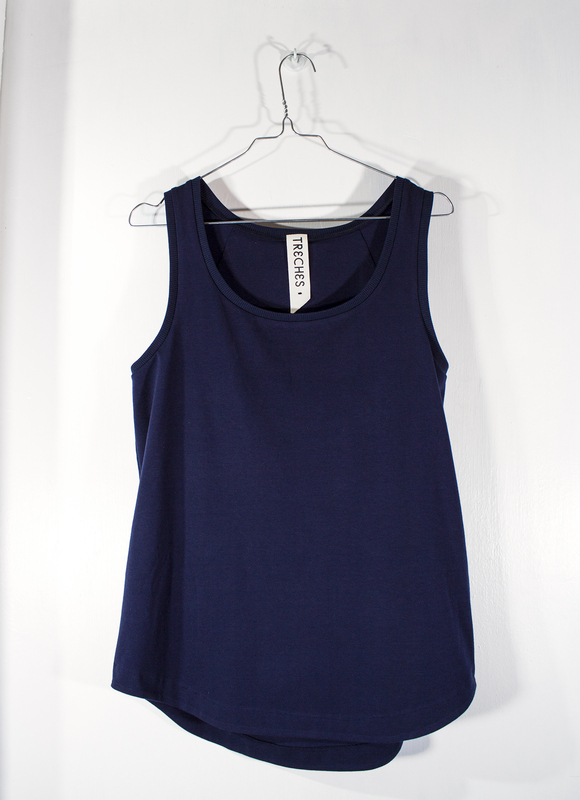 Strechy jersey with 95% organic cotton and 5% elastane. 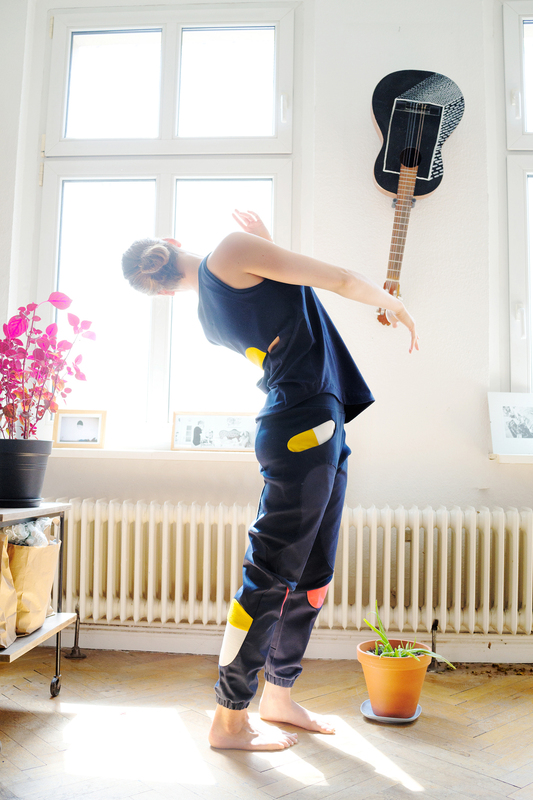 The fabric is certified GOTS and produced by Lebenskleidung in Turkey. The thread is natural lyocell. 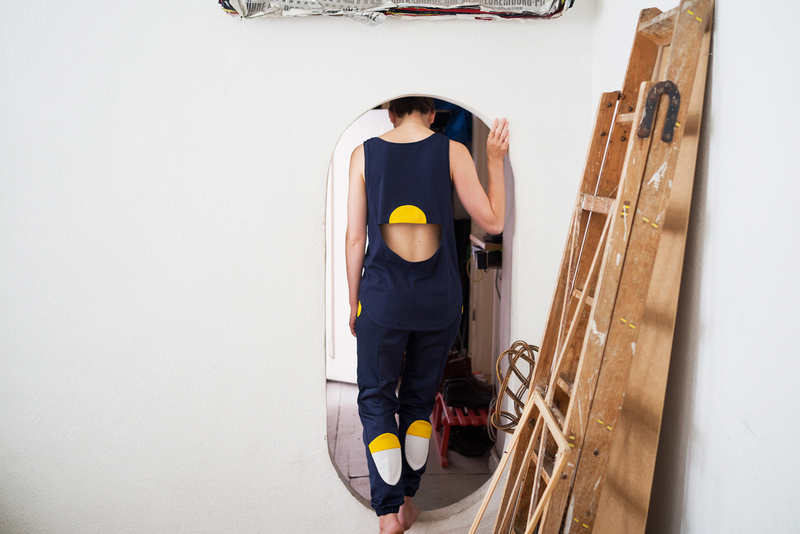 The yellow piece is organic cotton terry (towelling). I had just read "Half of a yellow sun" by Ngozi Adichie and wanted to try to implement the sun shape and contrast it with bare skin.